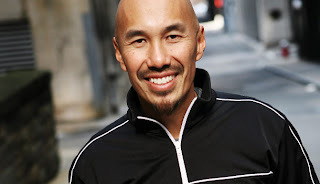 Francis Chan doesn't just preach generosity, he lives it out in his own personal life. In his book Crazy Love, Chan recounts God's prompting in his life regarding downsizing in order to give more away. For example, when I returned from my first trip to Africa, I felt very strongly that we were to sell our house and move into something smaller, in order to give more away. The feedback I got was along the lines of "It's not fair to your kids," "It's not a prudent financial choice," and "You are doing it just for show." I do not remember a single person who encouraged me to explore it or supported me to explore it or supported the decision at the time. We ended up moving into a house half the size of our previous home, and we haven't regretted it. My response to the cynics, in the context of eternity, was, am I the crazy one for selling my house? Or are you for not giving more, serving more, being with your Creator more? [pp. 135-136]. We could all learn a lesson from Francis Chan and others who have sacrificed worldly possessions in order to live a more generous lifestyle for the sake of the Kingdom. In light of eternity, everything that we have is meaningless, unless we can use it to further God's Kingdom here on earth. Jim Elliot, martyred missionary to the Auca Indians, said it best, "He is no fool who gives what he cannot keep to gain what he cannot lose." Francis Chan is the pastor of Cornerstone Community Church in Simi Valley, California, a church he and his wife started in 1994. He is the author of two books, Crazy Love: Overwhelmed by a Relentless God and Forgotten God: Reversing our tragic neglect of the Holy Spirit. Chan is also a popular speaker at major national and international events and conferences. Francis Chan has not come up with a new revelation. He reminds us to live simply and love God and minister to people in need. Why, it's an aweful lot like the book of Acts! In the long run his common sense, hands on faith will make a tremendous impact for the kingdom of heaven.